About A$10 million (K23m) has been allocated by the Australian government to combat polio, measles and whooping cough in Papua New Guinea. The funds would support the government’s current efforts in a major polio vaccination campaign as well as increase routine immunisation levels to avoid future outbreaks of diseases. According to Minister for Foreign Affairs and Trade Marise Payne low rates of immunisation had led to recent outbreaks of preventable diseases such as polio, measles, and whooping cough. 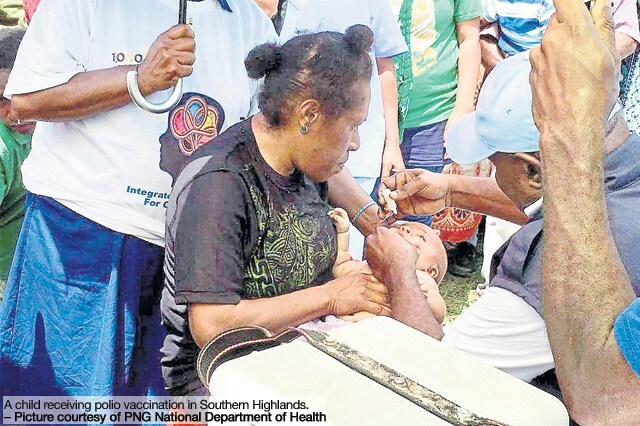 The Australian High Commission in Port Moresby is working closely with the PNG Government, the World Health Organisation and Unicef to monitor the current polio outbreak and provide assistance. Australian High Commissioner to PNG Bruce Davis, during a recent launch of a new maternal and neonatal care project, said Australia was keen to support PNG’s efforts in improving its health indicators.